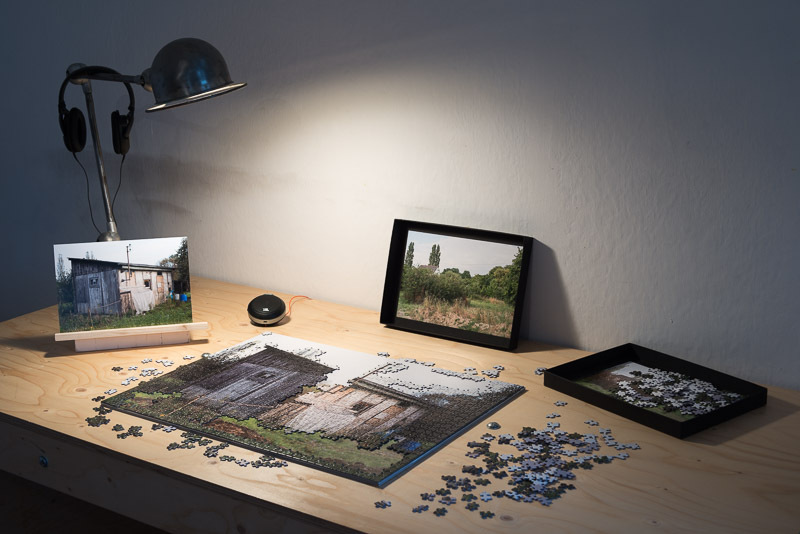 Parcelles 104, 132, 133 & 157 (2014-ongoing), 4 puzzles in a cardboard box incuding a poster and a CD with two soundscapes, 64x48cm ; 4 partially-assembled puzzles on a C-Print mounted on dibond, 64x48cm ; installation, variable dimensions. 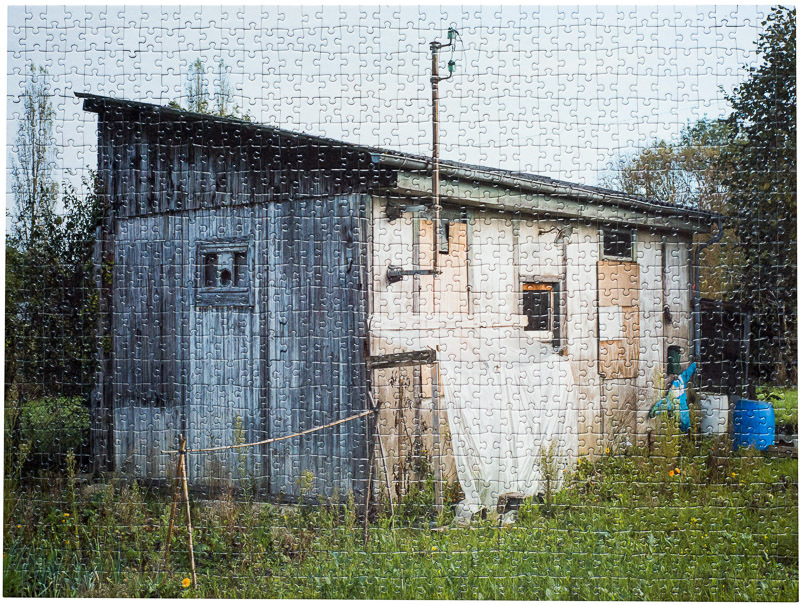 Parcelles 104, 132, 133 & 157 is a series of four puzzles designed with the artist Frédéric Dupont. 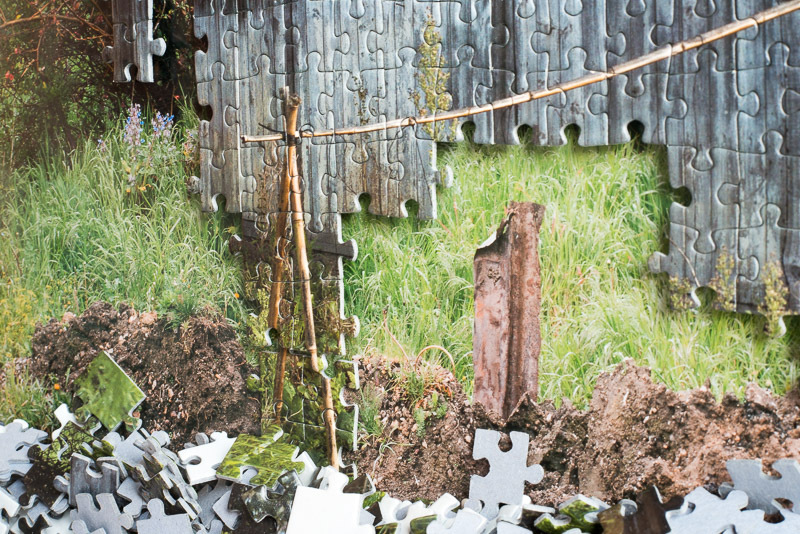 They take the shape of an installation, a work of art or a publication, depending on the context. 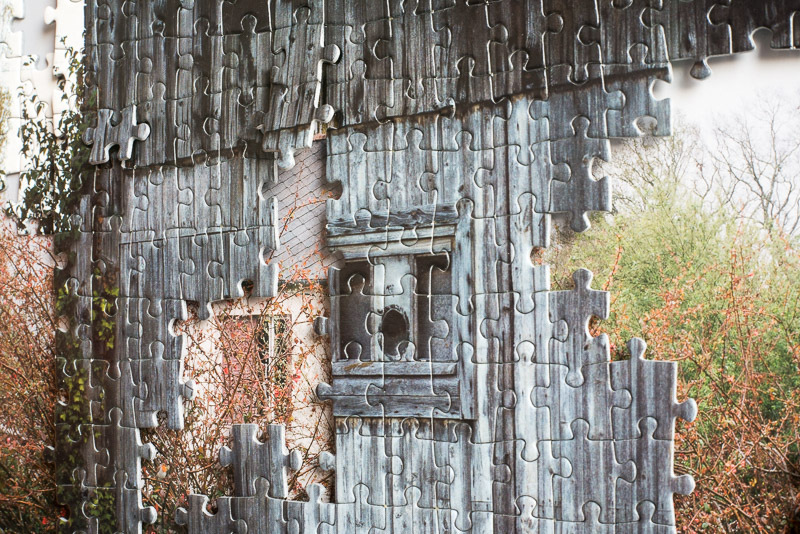 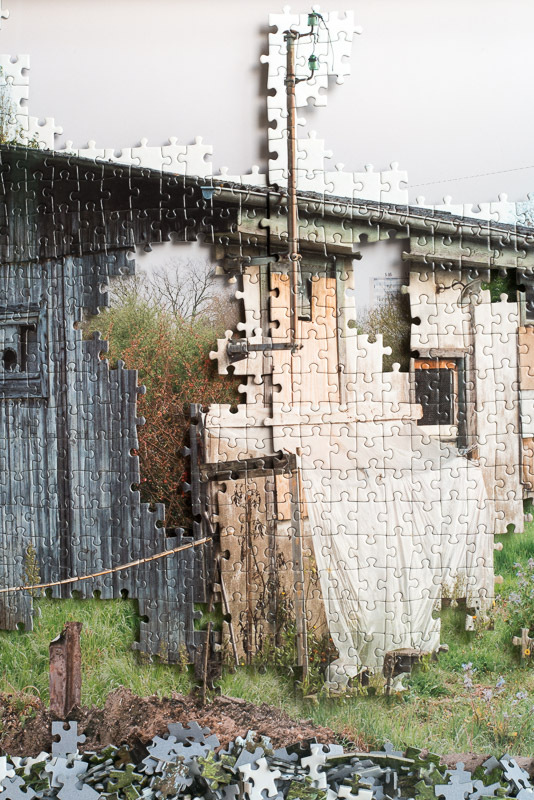 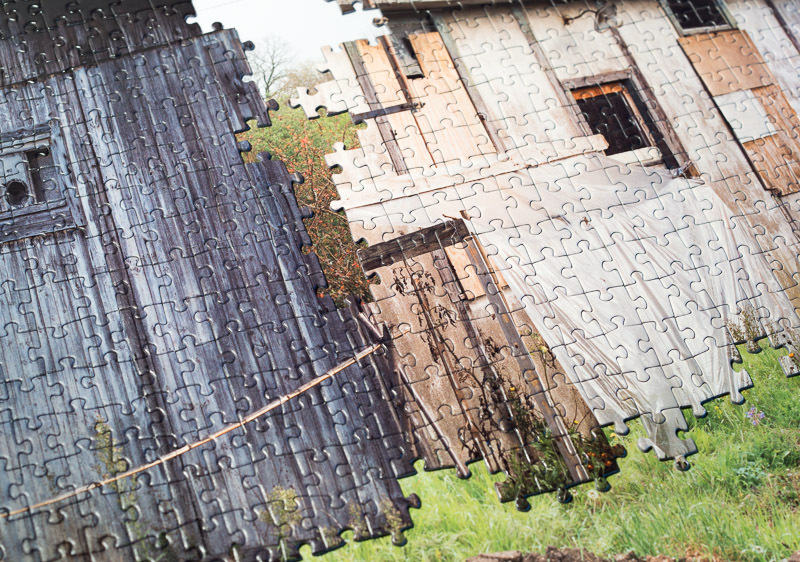 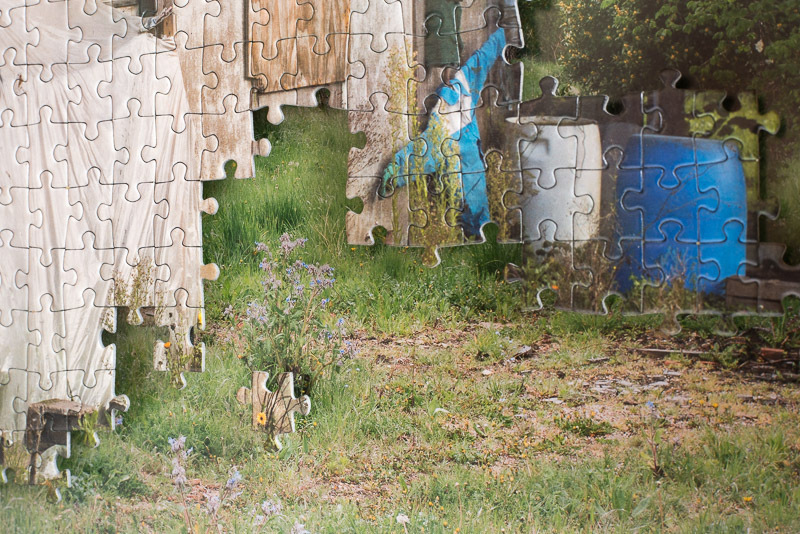 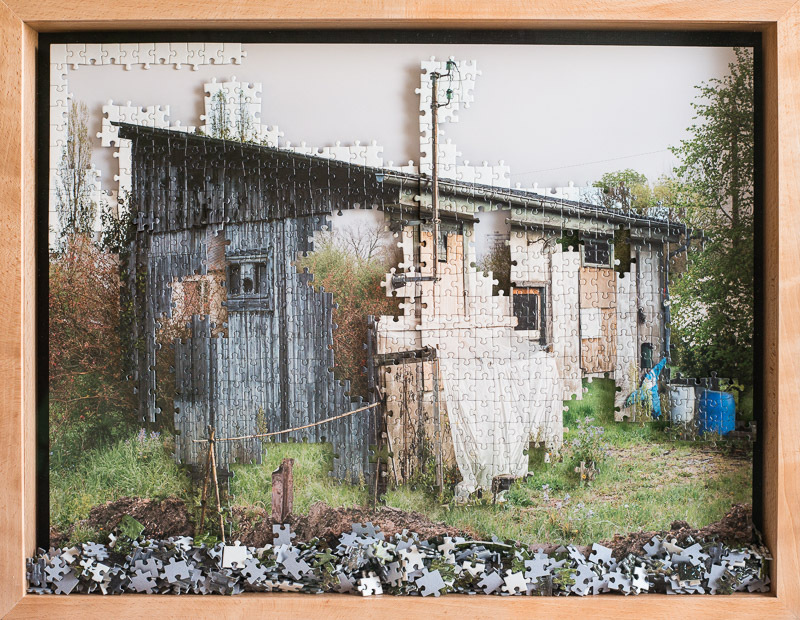 The puzzle, the fragmented picture of a gardening house, rebuilds itself over the photograph of a wasteland which bears the traces of a demolition. 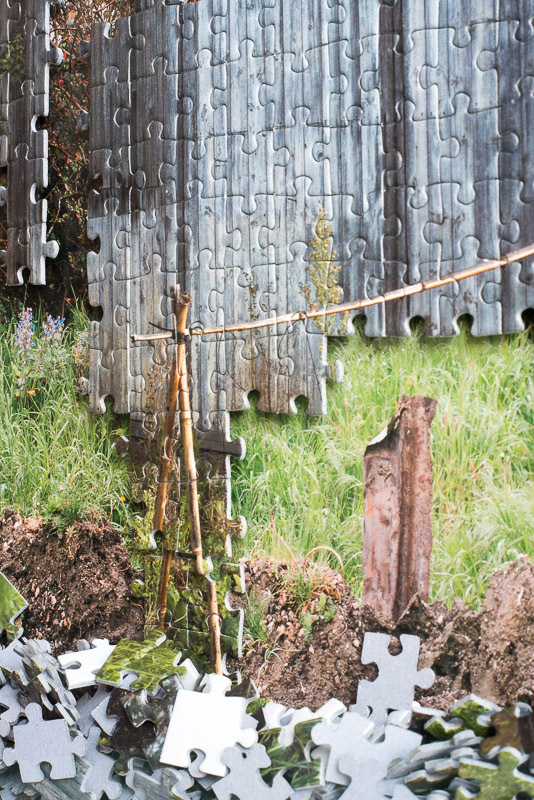 It is in fact the very same point of view, as can be seen in some of the details in the vegetation, which remains the same in the two pictures.